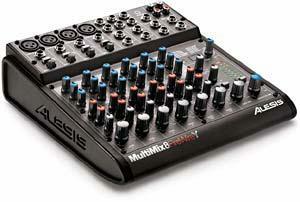 These compact tabletop mixers feature next-generation DICE II FireWire technology with transfer of multiple audio data streams from the mixer to computer , low noise analog electronics, and one hundred 28-bit digital effects. Available in 8-, 12-, and 16-channel configurations ($599, $699, $799). These look pretty good, but I don't think they mention that it only transfers the master channel. I was going to buy the older USB version but after I found that out I changed my mind. The firewire versions give you all individual channels PLUS master channel.